A beautiful cat with a pattern of stars across her back travels across space and time in this mostly unconnected collection of short stories. Sirial's art is simply exquisite with bright, soft colors, and loose, fluid lines that catch and hold the eye. Indeed, I wish some of the pages could be purchased as prints -- I would love to frame them and hang them on my walls. Unfortunately, the stories leave something to be desired. They're often quite whimsical, yes, but I found many of the human characters so very annoying, and Milkyway's felinized language ("meowster" for "master," "meowy" for "my," etc) is just a little too precious. 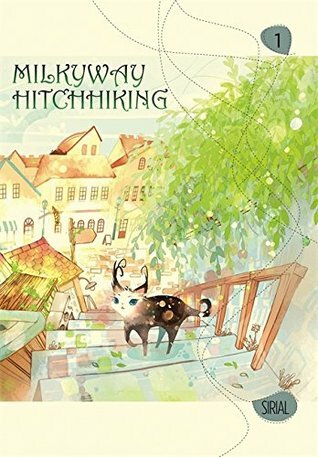 Overall, Milkyway Hitchhiking was an attractive and quick read, but I probably won't pick up Volume 2. 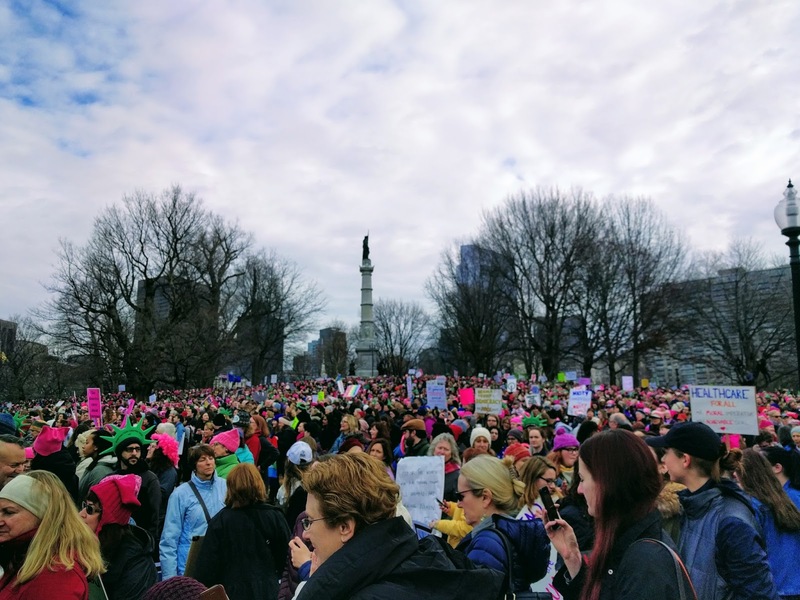 Boston Women's March for America. 200K of peaceful, if boisterous, protest. 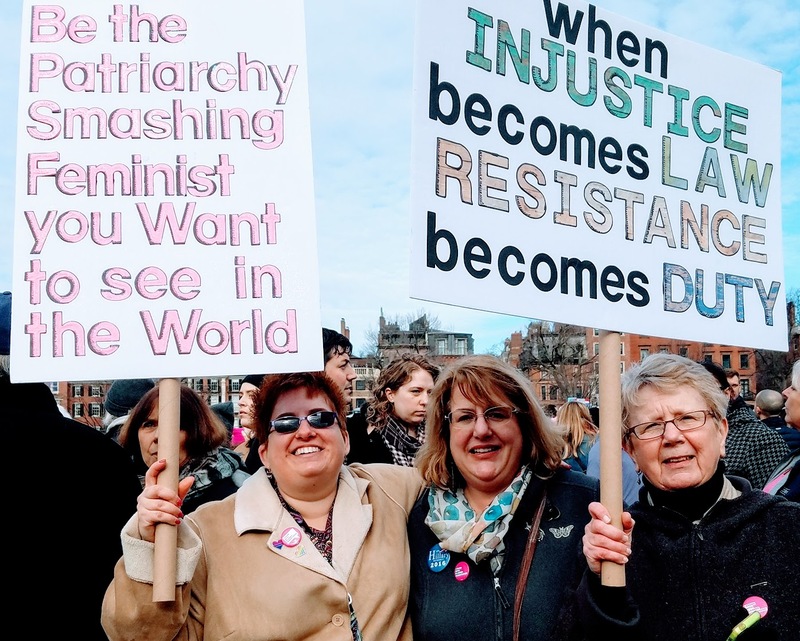 It's not a proper protest without librarians. 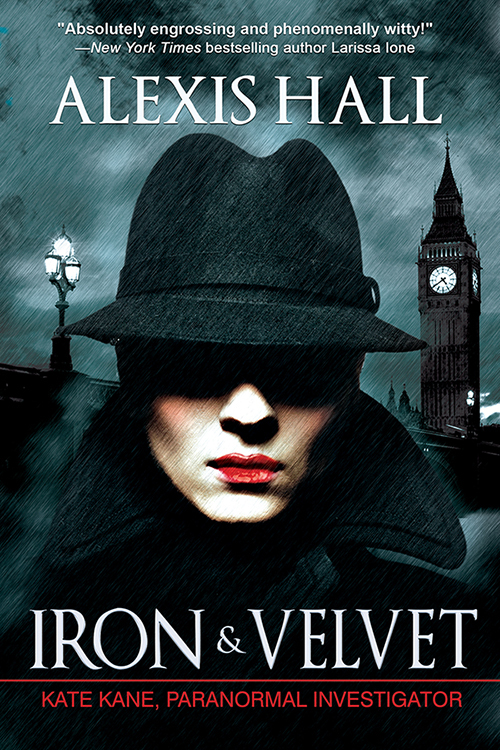 The beginning of the novel was stuffed with so many references to untold backstory that I wondered if I had skipped a book, but I checked twice and, no, Iron & Velvet is definitely the first book in the Kate Kane: Paranormal Investigator series. The repeated references to characters and events I knew nothing about became increasingly irritating and I began to wonder if the book would be a DNF. However, Kate Kane, snarky violet-eyed half-fairy lesbian with a weakness for femme fatales, began to grow on me a little bit and the world-building, disjointed as it felt, kept being just interesting enough to keep me going. I wanted to know what was going on in the woods at Safernoc Hall and who had initially conjured the toothy tentacled beastie from beyond the stars. Was one of the Princes playing some deep game? Trying to start a war or unseat a rival? Was Werewolf Granny's bite worse than her bark? Would there be a half-fairy, vampire, werewolf ménage à trois? I needed to know. 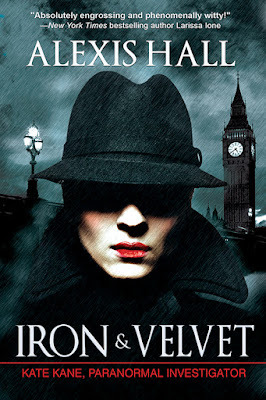 Iron & Velvet by Alexis Hall (Riptide Publishing, 2013). Kindle edition. 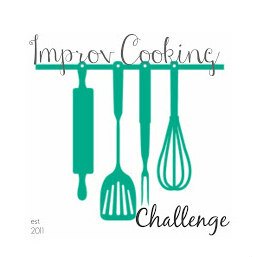 January's Improv Challenge Cooking ingredients are the bright, sunny flavors of lemon and rosemary. 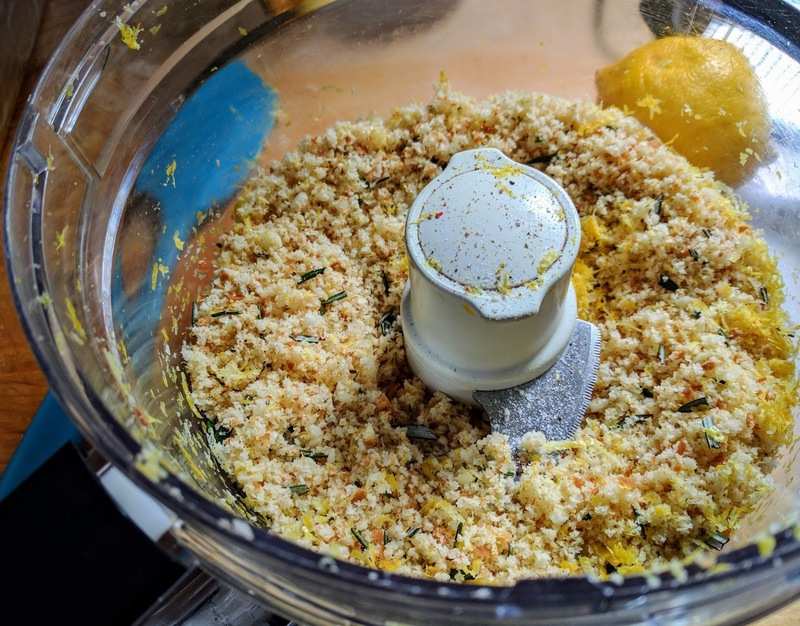 I decided to keep my dish simple and combined the lemon and rosemary with garlic and fresh breadcrumbs to make a light topping for baked fish. It's not a very adventurous dish, but it's pretty and spring-like. In this dark, bitter January I need everything that is pretty and spring-like. I used cod in this dish, which is not a fish we eat very often, but I thought it’d be a fun change from the usual tilapia or salmon. Cod is, after all, a very versatile fish as it is mild and sweet-flavored, making it a good fit for many recipes. I also used "Spanish Roja" garlic bought at last fall's very rainy Connecticut Garlic and Harvest Festival. The flavor is quite pungent, hot, and lingering. If you don't like strong garlic flavor, the plain ol' ordinary grocery store garlic will work just fine in this dish. We had leftover sandwich/kaiser rolls so I blitzed one of those to make the breadcrumbs, rather than let it get stale, and that yielded about a cup of fresh crumbs. Obviously, you could use any bread or roll you like to make the crumbs. I'm betting that the garlic ciabatta or rosemary focaccia would be lovely. Blitz the rosemary, lemon zest, garlic, and roll in a food processor until the roll forms fine crumbs. Season with salt and pepper, if desired. 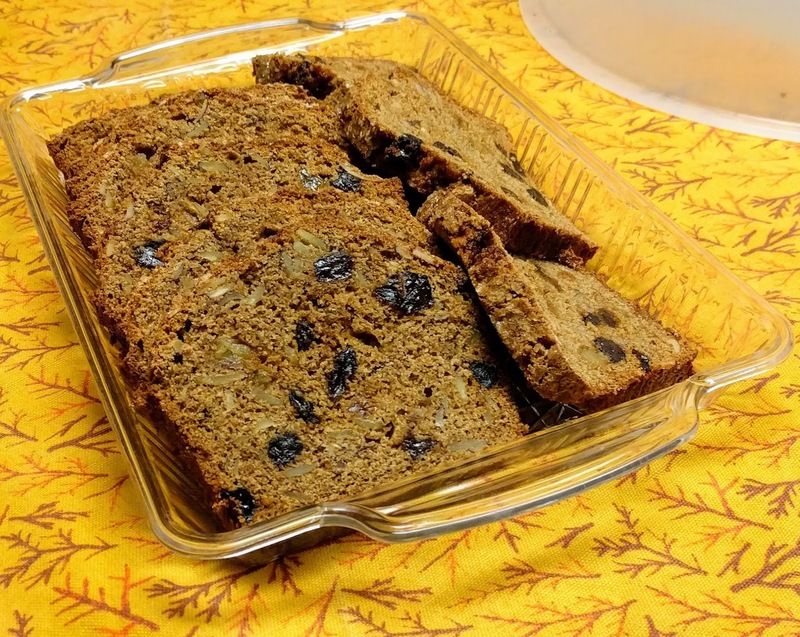 Place the butter in a 7x11-inch baking dish. Melt in the preheated oven. Remove dish from oven. Lay the cod in the baking dish and then flip the fish over to coat. Press the crumb mixture onto the top of each cod portion. 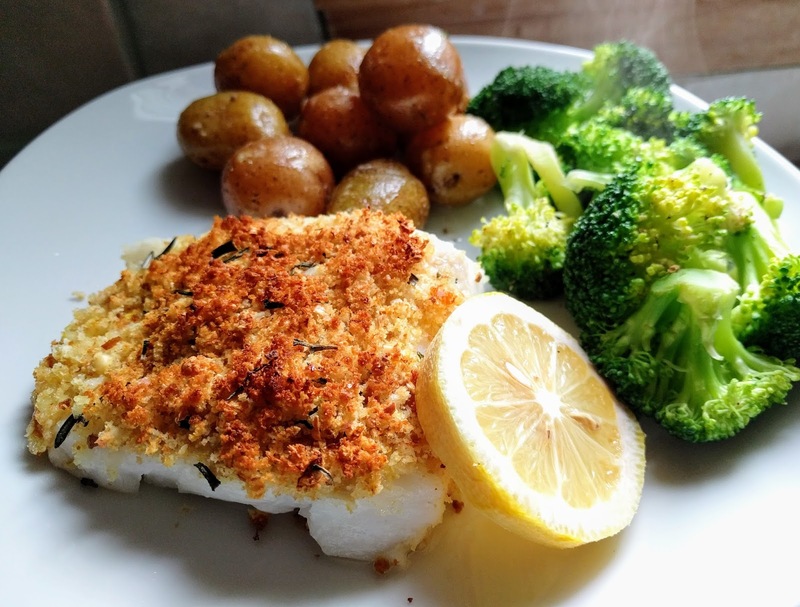 Bake cod for 20 min, uncovered, or until the fish has reached 145°F or is opaque and flakes easily with a fork. Remove fish from the oven, squeeze lemon wedge over it, and serve. for America. 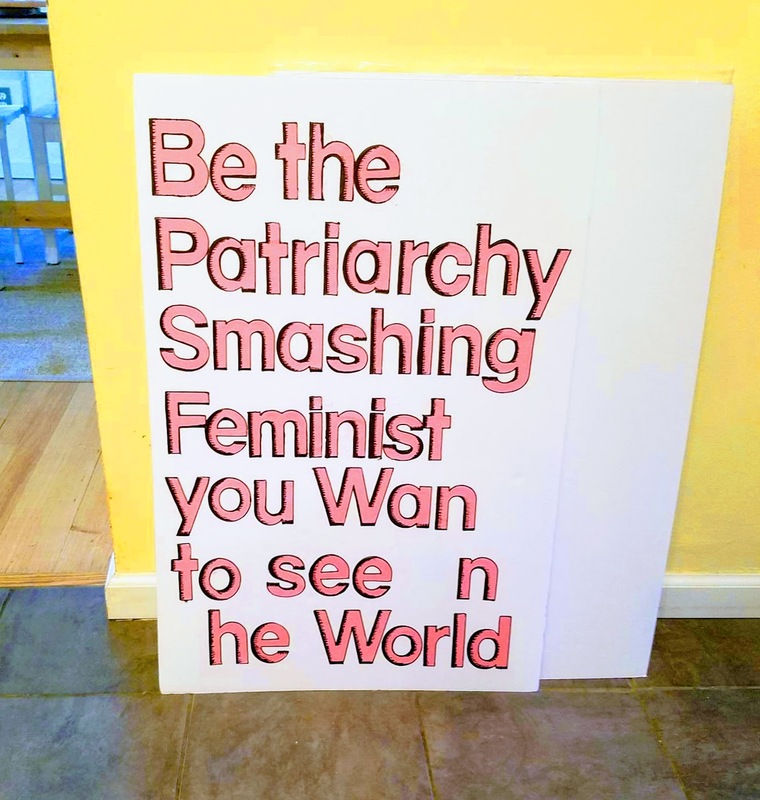 (Yes, I took the words from a pin I own ... I'm not terribly original). After foiling a robbery at a posh English party, the Honourable Phryne Fisher is asked to investigate the probable poisoning of a society woman in Australia. Bored with society and at loose-ends, Phryne agrees to travel to Melbourne and find out the truth behind the woman's illness, but strictly on her own terms. Arriving in Melbourne, Phryne quickly begins a series of adventures that will introduce her to the heights (and depths) of Melbourne society ... and to the mysterious King of Snow who so mercilessly runs Melbourne's cocaine trade. Cocaine Blues was a light and entertaining romp through 1920s Melbourne, full of interesting characters and beautiful descriptions of clothes. Its lightness and sheer entertainment value is a little surprising considering the heavy topics dealt with in the novel -- back-alley abortions, drug trade, domestic abuse, street life, communism, sexism, etc -- and I applaud Greenwood for pulling it off so deftly. I enjoyed Cocaine Blues very much and look forward to reading the other nineteen books in the series. 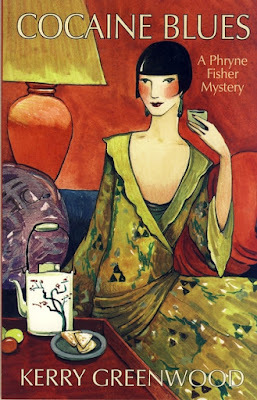 If you haven't watched ABC's Miss Fisher's Murder Mysteries, starring Essie Davis, you're missing quite a treat and I strongly recommend you get them out from your library or watch them on Netflix. Yes, they are rather different from the books, but that just means you now have two new things to enjoy. I love cooking shows like The Great British Bake-Off and Iron Chef as well as anime like Food Wars, so when I heard about Space Battle Lunchtime, I knew I had to have it. Apparently, so did everyone else as the wait for a library copy was too looong for an impatient reader such as myself. Eventually, though, Space Battle Lunchtime, Volume 1 arrived on my desk and I devoured it. 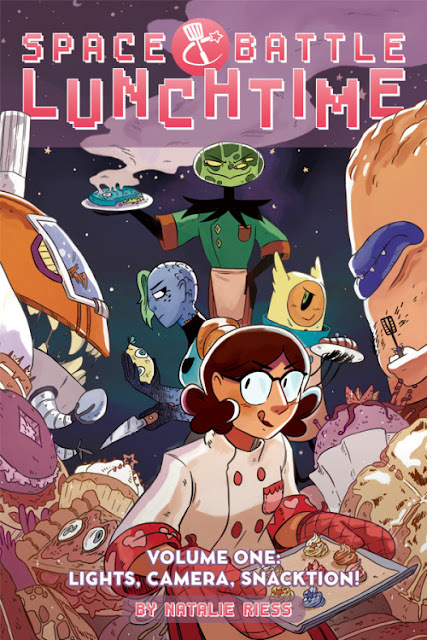 Peony is young, but very competent human baker who finds herself as a last minute replacement entrant on the intergalactic cooking show Space Battle Lunchtime. All of the ingredients and equipment are, unsurprisingly, quite alien to Peony but she strives to do her best and win against her alien competitors over four rounds of cooking. And, if it were just about cooking, Peony might be okay, but her competition is very cut-throat and there is sabotage and underhandedness afoot. Also there's some question as to how the chef she replaced ended up on the rival cooking show, "Cannibal Coliseum," where competitors cook and eat each other. 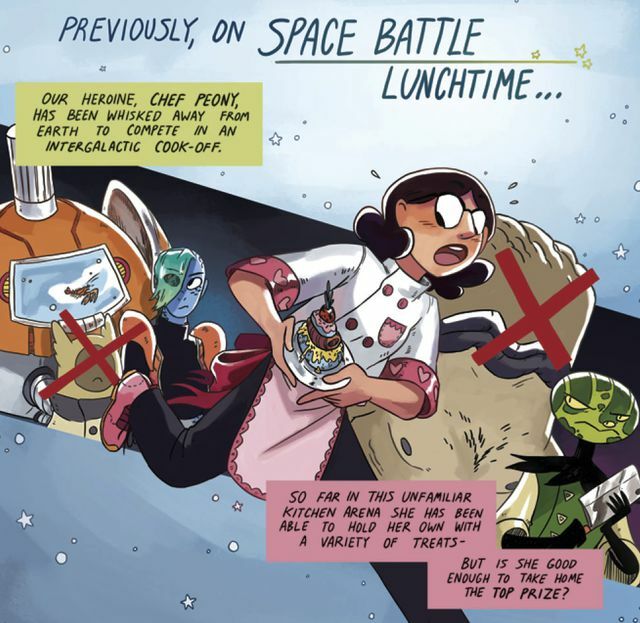 Like one of Peony's pastries, Space Battle Lunchtime is scrumptious and sweet. The illustrations are very expressive and colorful and I really enjoyed the amount of detail Riess packs into each scene. In a book with a large cast, every character still remains individual and interesting. I'm really rooting for Peony and Neptunia to become besties (or more) and I hope someone gives Melonhead a good kicking. The bonus material at the back of the book -- chef biographies, sketches, and examples of spacefood -- are just so much delicious icing on an already tasty cake. I can't wait to read the second volume, A Recipe for Disaster, out in July. (The Husband also really enjoyed Space Battle Lunchtime -- especially the snafu with the salt). We eat a fair amount of rice -- certainly, enough so to justify my totally awesome/adorable rice cooker -- and I usually make it with medium-grain white rice, low-sodium chicken broth, roasted garlic powder, parsley, salt, pepper, and a bit of butter. It's good rice, but it gets a little samey-samey so, lately, I've been experimenting. 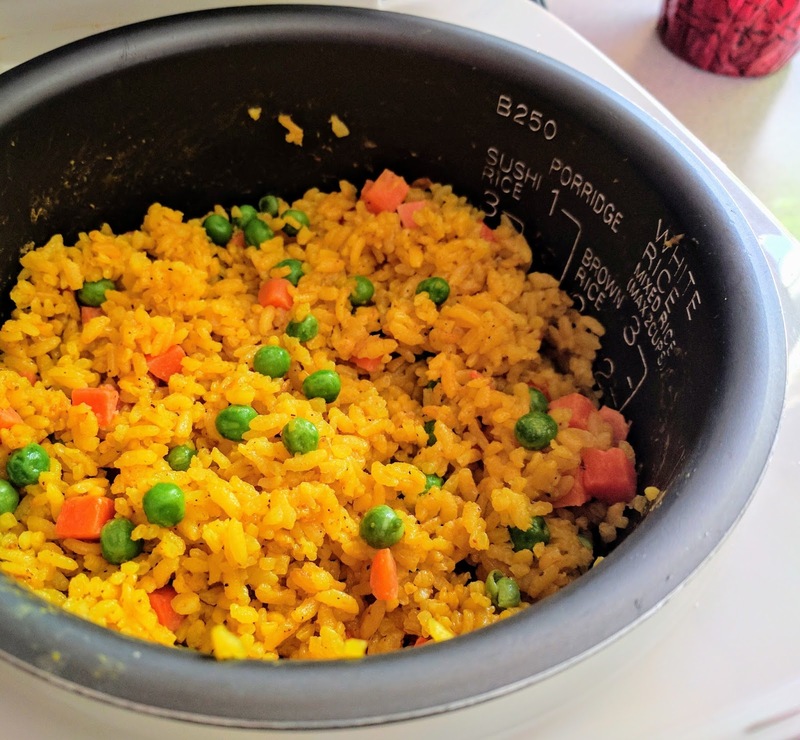 I made this yellow rice as I would usually make rice, but added ½ tsp turmeric, 1 tsp roasted garlic powder, ½ tsp black pepper, and a pinch of salt to the broth before starting the pot. When the rice was done, I stirred in a cup of partially-thawed peas and carrots and let everything sit for 15 min or so while I finished the main dish. As I'd hoped, the rice came out a beautiful golden color and was fragrant with garlic. The peas and carrots were heated through, but retained their firmness -- I definitely did not want squishy carrots. Medium-grain white rice is pretty much the standard rice I use for everything. Medium-grain rice is, unsurprisingly, shorter and plumper than long-grain rice. In my experience, it's also a little bit stickier. 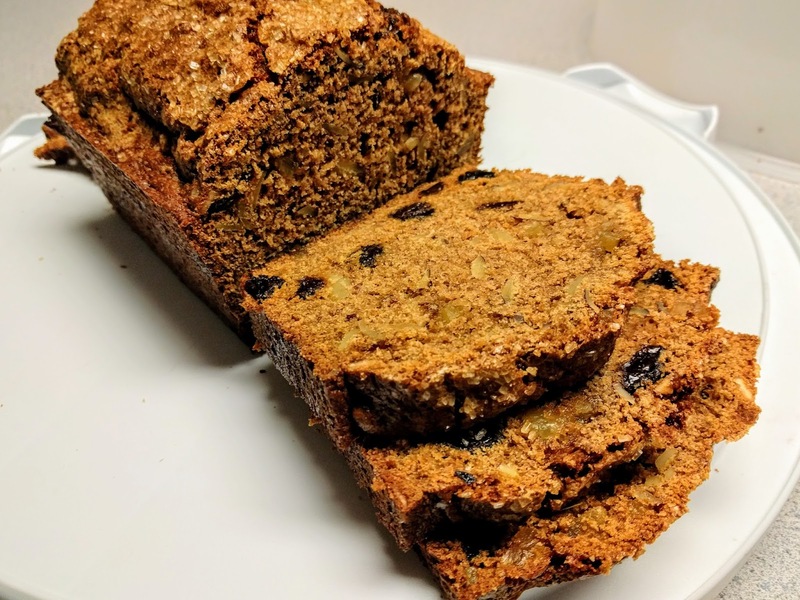 I find that I prefer its flavor and texture to long-grain white and now use it wherever I would use long-grain. Dying In The Wool is the first in a series of cozy-but-not-twee post-World War I mysteries set in the North of England. The protagonist, Kate Shackleton is a widow (husband missing and presumed dead, although she has difficulty accepting that) who has had some luck helping other women track down missing sons, brothers, and husbands and is now trying her hand at her first paid case. 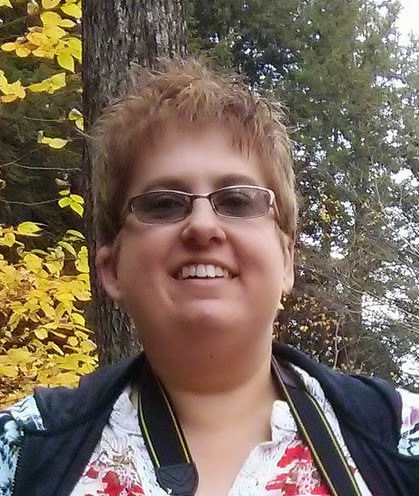 Her friend, Tabitha Braithwaite, is getting married, but before she does so she wants Kate to find her missing father. An easy enough case, except Joshua Braithwaite went missing six and half years ago so his trail, such as it was, has gone quite cold. Also, he might not have been the aboveboard mill owner society painted him. And many (too darn many) characters seem to be keeping secrets which may (or may not) be relevant to his disappearance. It's all a dreadful snarl. Will Kate manage to tease the truth out before time runs out? Considering there are already nine books in the series, I think I'm not giving anything away by saying "yes, Kate gets to the bottom of Braithwaite's disappearance." 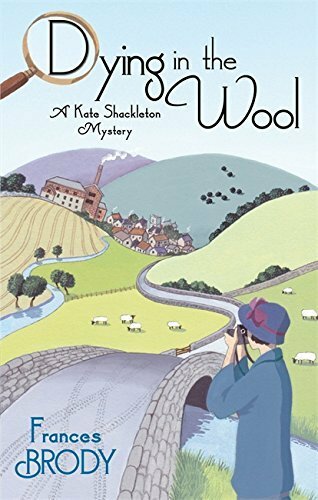 I did enjoy Dying In The Wool -- it was a very pleasant way to spend an afternoon in bed -- and do look forward to reading the rest of the series. The characters were all quite well-fleshed and interesting and I greatly enjoyed Kate's straight-forward working relationship with Sykes. 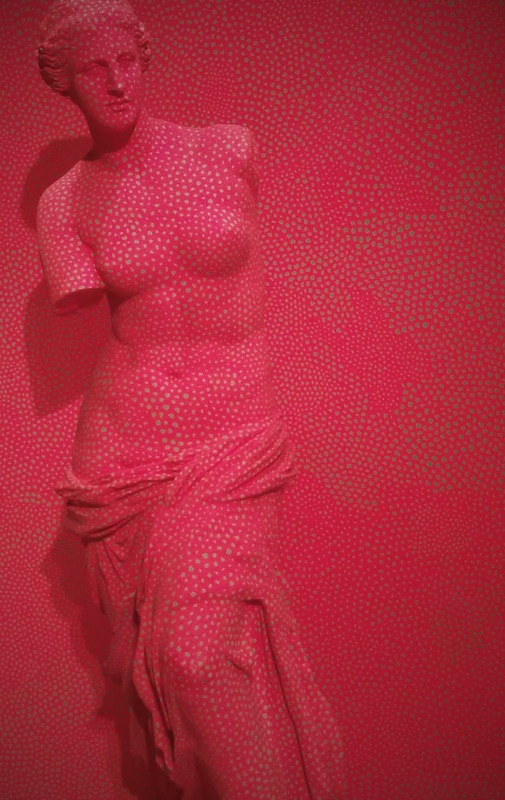 If you're into it, and I am, there's lots of window-dressing about clothes, photography, landscape, and the like. Indeed, the descriptions of North Yorkshire and the Braithwaite mill made me yearn to re-read Elizabeth Gaskell's North and South (yes, I know it predates Dying in the Wool by sixty odd years).